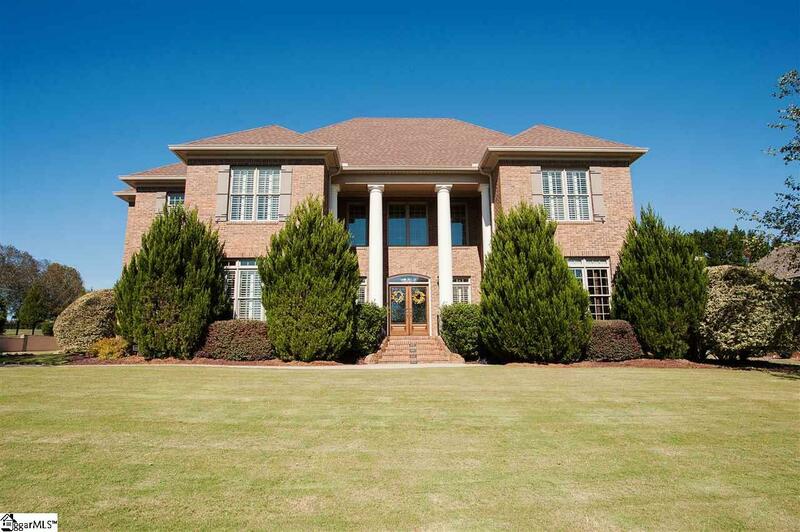 Stunning Estate Home on .77 Lot with fabulous back yard with in-ground pool. Equally impressive is this home's floor plan which has boundless storage and incredible flexibility depending on your lifestyle. Well appointed master bath an his and her closets. Each bedroom is appointed with its on bath and walk in closets. The kitchen features top of the line sub zero, wolfe and Miele stainless steel appliances including refrigerator, dishwasher, and gas range as well as a large island that doubles as a serving bar, custom cabinetry and sold surface counter-tops. The gracious Dining Room awaits all your special events. Great Room with gas log fireplaces, a front formal living room or sitting area or office .The media room is a great way to enjoy family fun. Bonus room with kitchenette is just another bonus to this majestic home. Easy access from the greatroom, master or kitchen to the outdoor living area. Outdoor kitchen for grilling, enjoy your coffee to the sounds of the flowing water in the salt water inground pool or sip some hot chocolate around the fire pit. Extra walk-in storage in the upstairs that you will never run out of space. 3- Car attached garage with race deck flooring and its even heated and cooled. The home has a dehumidifier and is encapsulated due to pride in ownership. Willow Creek Golf Club known as the area's "friendliest golf course" is a public golf course that can be both fun for beginners and challenge the most experienced players! Whether you enjoy golf or not, the community offers large lots, well-built homes and a robust amenity package with pool, tennis and clubhouse!